On June 17, participants in the BXLTOUR cycling race will ride through the streets of the capital, crossing the finish line near the Atomium. Beginning at 11:00, the festive and lively BIKECITY village will be open to visitors at the base of this historic monument. The village will feature a variety of activities for both children and adults, run mainly by associations with cycling-related programs. What could be a more fitting spot for the finish line of a cycling race through Brussels than beside the city’s most well-known monument? After the race, between 11:00 and 16:00, participants and visitors are invited to visit the BIKECITY village at the base of the Atomium. A variety of exciting events are planned, including guided tours, workshops, and sustainable transportation activities. Visitors can also enjoy delicious dining options, performances, design, music, marching bands and rides. We’ll reimagine the bicycle from a fun and collaborative perspective, in order to (re)discover the many different possibilities it offers. Visitors can park their bikes and get some useful cycling tips at the bike parking lot in the centre of BIKECITY, with security provided by Gracq and their volunteers. Pro Velo is offering participants and visitors the opportunity to test out electric bicycles, as well as get advice on planning a bike trip. Cyclo will be present with a special ‘Tour the France at the Atomium’ photobooth. Cyclo is offering small bike repairs, while visitors looking to improve their bicycle can attend the “Pimp My Bike” workshop, hosted by Cycloperativa, and get useful tips and advice on how to perform minor repairs during participatory workshops by La Rue Voot. Attendees can also try brand new electric scooters with J.O Bikes. The event also includes scenic guided tours: a two-hour tour through Laeken and surrounding areas (Pro Velo, tour starts at 13:30 at the Pro Velo booth and ends at the same location) and an off-the-beaten-track tour from 13:00 to 15:00 that will offer participants a unique perspective on Laeken and Neder-over-Heembeek (Cactus BXL, departure at the bicycle parking and return to the same spot). To celebrate the year of Circus, various festive activities will take place during BIKECITY, hosted by a zany announcer and featuring acrobatic carnival shows. The Circomédie company will offer their unique take on the classic hook-a-duck carnival game, while the Chonk company will entertain visitors with a bike-themed bubble and art performance. Kids will love the “Tour à Biclou”, a retro, pedal-powered merry-go-round. An exhibition of unique bicycles will be presented by Vélosphere, and rickshaws will be available for leisurely afternoon rides. Throughout the day, BIKECITY will also be filled with lively and festive music. Visitors can enjoy wandering electro-swing performances by “La Jacqueline” as well as the XL & Lapinne Theater company’s bicycle marching band. This exciting event will end with a spectacular performance by Chasses Patates, THE “Rock n’ Ride” band. Rapha Brussels, the new pop-up store of the well known biking gear brand will have a booth at Bikecity. Come and discover the world of Rapha as you will be able to try out gear and accessories. Afterwards you can shop at the boutique at the rue Dansaert 90, in the centre of Brussels, which will be open for only a few weeks. 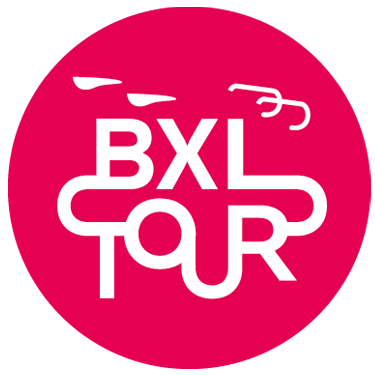 Taking place at the finish line of the BXL tour, between 11:00 and 16:00, BIKECITY is a fun community event for family and friends, neighbours and colleagues. Visitors will also enjoy a spectacular view of two historic jewels of Belgian architecture: the Atomium, which is celebrating its 60th anniversary this year, and the Palais 5.